Stainless steel head for frontal mounting of glass-boards of 10 to 30mm in thickness, employing pressure plates and requiring the creation of holes onto the glass surface. Every head bears three stainless steel plates of 200mm in size and two adjustable F40 spacers. Two of the plates clamp onto the glazing, while the third is fixed onto the installation surface. The regulatable spacers have an inner chamber, which can adjust the distance from the walls by 40-50mm or 60-70mm, with the addition of the corresponding component. Regulators bear notches, used to tight the glass-board with a No.18 wrench. The glass-boards must be tempered and have holes which must be precisely determined though a technical study and plan. 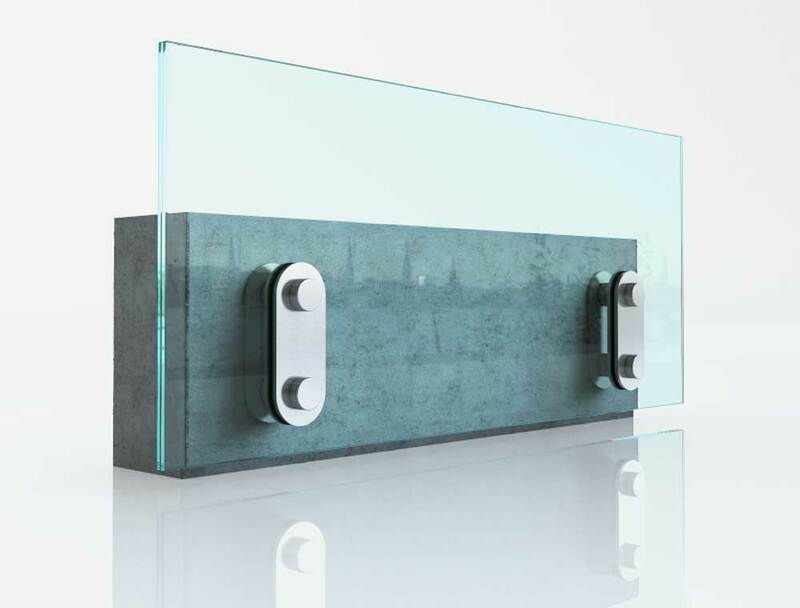 They are secured by using a transparent gasket, while tightening and adjustment of even the angle of the glazing, is achieved by using the system’s regulators. Suitable for the formation of glass railings onto balconies and wherever else a frontally mounted glass parapet is needed.